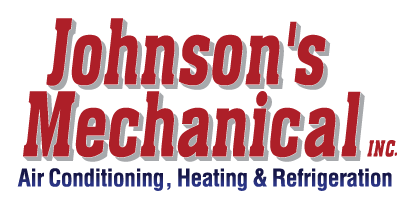 Commercial Chilled Water Systems, Winter Haven, FL | Johnson's Mechanical Inc. Commercial Chilled Water Systems, Winter Haven, FL | Johnson's Mechanical Inc.
We install and service commercial chilled water systems in the Winter Haven area with experience and professionalism. One of the largest expenses for commercial businesses in Winter Haven, Florida is dealing with keeping the building comfortable during our hot summers. Traditional air conditioning systems are often not as effective as you would like and result in high utility bills. Our team at Johnson’s Mechanical Inc. offers a solution to this problem. We install commercial chilled water systems that are far more efficient to operate. Staying cool is vital in so many types of businesses, including hotels, hospitals, universities, and restaurants. Commercial chilled water systems can make this much easier to accomplish, and they are also more reliable. We do the installation for these systems, and we also service them, including maintenance and repairs as needed. Because we understand how vital it is to not let your business go without air conditioning, we offer emergency service 24 hours a day, 7 days a week with professional technicians who pinpoint problems with commercial chilled water systems quickly and get them resolved. Commercial chilled water systems use chillers to keep the water in the reservoir at the proper temperature. They only run when the water in the reservoir exceeds a particular temperature, thereby making them more efficient. We are happy to meet with you to further explain how commercial chilled water systems work and how this type of system would help your business. We believe you will be exceedingly satisfied with our workmanship and our promptness in getting your needs addressed. We look forward to serving all your air conditioning, heating, and refrigeration requirements in Winter Haven.